For over a year, I have overheard my peers talking about Nicholas Carr’s book The Big Switch. But having worked in the IT services and data center market for over 10 years now I consider myself somewhat knowledgeable about the concept of Cloud Computing. As a result, The Big Switch wasn’t on the top of my reading list when it first debuted. I preferred to spend my precious free time reading about topics I was less informed about. Over the Thanksgiving holiday this year, I finally got around to reading The Big Switch. It is extremely well written, with lots of fascinating historical stories and analysis of potential changes to society resulting from technology. But I think that the description on the back cover – “The Definitive Guide to the Cloud Computing Revolution” – is misleading. Because, in my opinion the book is not really focused on Cloud Computing. Cloud Computing is an almost meaningless term. Ask 100 people in the IT sector to define cloud computing and you will probably get 100 different answers. Ask journalists or executives outside of the IT sector and you will get an even further divergence of opinions. To most people Cloud Computing is anything cool and successful that has happened on the Internet in the past 3 years or might occur in the next 3 years. From my perspective, Cloud Computing is the idea of large service providers such as Google, Amazon.com and Microsoft offering network-based IT services from massive, centralized data centers. Cloud Computing has three different pillars to it. At the bottom is the “Hardware-as-a-Service” concept of selling storage and computing resources in a multi-tenant, virtualized, hosted model with a consumption-based pricing model. Amazon.com’s Elastic Compute Cloud is the best known example of the bottom layer. In the middle is a development platform that end-users can use to write new software applications such as Force.com. At the top are “Software-as-a-Service” applications which have been developed by third parties for commercial use. 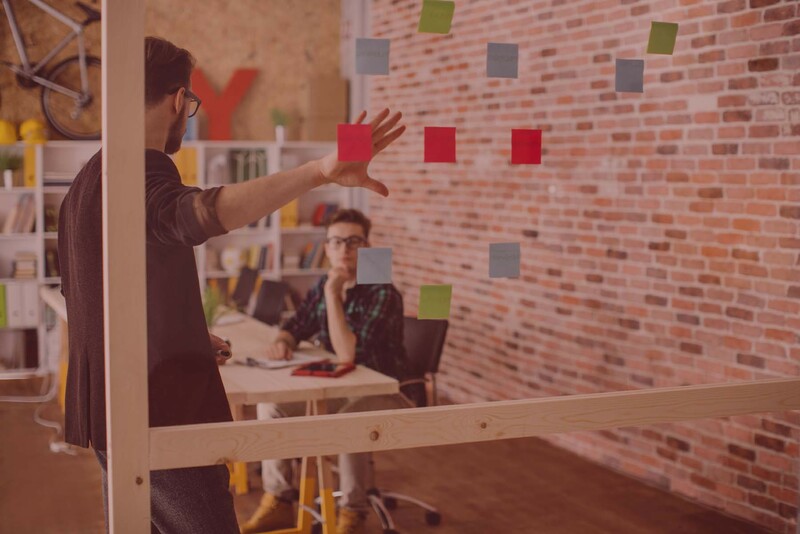 Google Docs, NetSuite, OfficeLive are some of the better-known applications that fall into this category. The Big Switch has less than a full chapter devoted to explaining the concepts I outlined in the last paragraph. Most of the content is focused on two topics: 1) Comparing the evolution of computing technology to the development of electrical power and 2) Discussing the social, political and cultural implications of the Web 2.0 applications offered on cloud computing platforms. Nicholas Carr does an outstanding job of addressing both of these topics with an engaging and provocative writing style. As a result, I would recommend The Big Switch to anyone seeking insights on how Web 2.0 applications such as search engines, mashups, blogging, wikis and crowdsourcing are transforming society. But to those seeking “The Definitive Guide to Cloud Computing” I would suggest reading a white paper from IBM or a research report from Forrester. Iraqi Military Tactics – Google Earth and GPS technologies were used by Iraqi insurgents to pinpoint the locations of British troops to increase the accuracy of mortar fire, effectively leveling the playing field with high-tech guidance systems. Invading Consumer Privacy – AOL published de-identified keyword search data on 600k+ of its users in 2006. Within the matter of a few hours reporters at the New York Times were able to uniquely identify the user id referred to as user #4417749 to be Thelma Arnold, a 62-year old widow from Georgia. Computers Ask Humans for Help – Amazon.com developed a service called its Mechanical Turk, which allows programmers to hide humans within software code. The turk automatically posts requests for tasks that computers are not effective at (e.g. identifying objects in photographs) to a web site where freelancers compete for the right to perform the work. Fostering Terrorism – End-users tend to join online forums, discussion groups and follow blogs of thought leaders with similar ideas. As people converse more with people that share the same views, their opinions become more extreme potentially leading to fanaticism or terrorism. Trending Reading Patterns – Tom Owad, manager of a Macintosh web site, downloaded over 250K wish lists from Amazon.com using a computer script. He then proceeded to analyze the reading preferences of these people and charting readers of extreme topics on a map of the US. GE’s Focus on Products versus Services – Chronicles Thomas Edison’s pioneering efforts to develop electrical utilities. But points out the limitations of GE’s strategy to sell power-generation equipment and power-consuming appliances, rather than to develop a centrally-managed utility which would offer Electricity-as-a-Service. The End of the Ice Age – Explains how the widespread availability of electricity quickly ended a massive, global business designed around the transport of ice from the upper parts of North America to various destinations around the world. The disruption, of course, was the availability of affordable home refrigeration technologies. Google’s Data Center – Explains how a front-company named Design LLC quietly negotiated on behalf of Google to purchase 30 acres of land for $2M in The Dalles, Oregon. 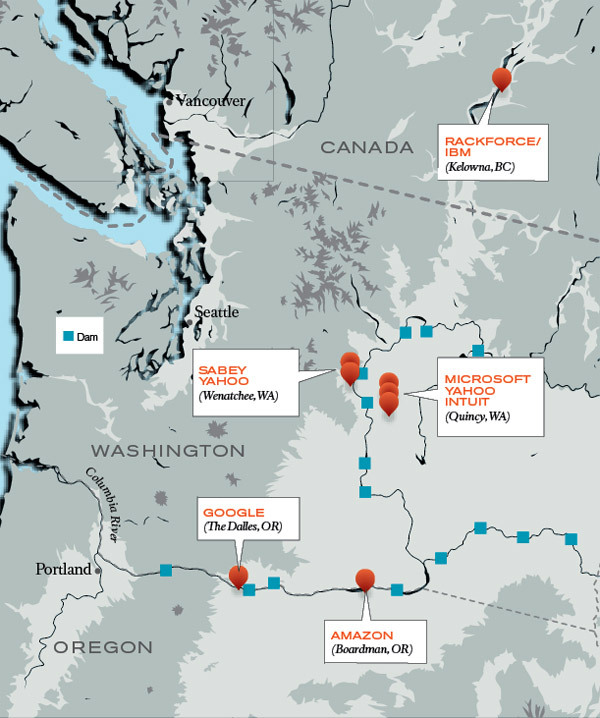 Google had a revolutionary idea of placing data centers near the Columbia River, which is source of both cheap hydroelectric power and chilled water to cool the machines. So in closing, I would say – definitely read the book. Just don’t expect it to be an expert on Cloud Computing once you are finished.